B.C. 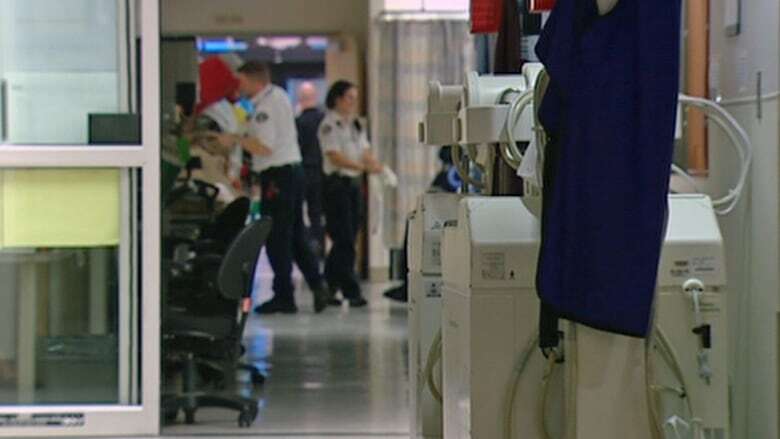 's highest court has slashed in half the amount of restitution a North Vancouver man must pay to make up for his dead wife's long-running fraud at Vancouver General Hospital. On Wednesday, the B.C. Court of Appeal cut Miroslaw Moscipan's liability in the scam from nearly $250,000 down to $130,296. Writing on behalf of a three-judge panel, Appeal Court Justice Richard Goepel said the original trial judge had erred in his calculations. The appeal court also threw out the earlier decision to cancel Moscipan's 50-per-cent interest in the family home, but instead declared the transfer a "fraudulent conveyance" and said Vancouver Coastal Health would be entitled to immediately file a claim against the property in an attempt to get its money back. Before she died, Moscipan's wife, Wanda, defrauded the health authority of $574,647 over eight years, according to court documents. She worked as an administrator at the hospital and managed the scam largely by asking busy doctors for blank cheque requisitions, which she placed into an account she controlled. Her supervisors discovered the fraud in 2011, but Wanda succumbed to cancer the next year, before the money could be recovered. She's also accused of stealing another $677,000 from the University of British Columbia, where she was a joint employee. During his trial in B.C. Supreme Court, Miroslaw Moscipan testified that he had no knowledge of the fraud but admitted he'd been suspicious about where all her money was coming from. Nonetheless, the judge found him liable, saying he had "constructive rather than actual knowledge" of the fraud. In his appeal, Moscipan argued VCH had "failed to show that he was presented with sufficient facts such as to create a duty of inquiry about the potential misapplication of VCH's funds," Goepel wrote. To that argument, the judge responded "I do not agree." But the appeal court did find other errors. The original trial judge had found Moscipan 50-per-cent liable for all funds that were spent on family expenses. But Goepel said that failed to account for all of the family's sources of income, which also included Wanda's legitimate salary from VCH and UBC and the alleged fraud at UBC. The appeal court judge also said the lower court had held Moscipan liable for more money than he'd actually received from the VCH fraud. Meanwhile, UBC has also filed suit against the Moscipan family over the university's claim it, too, was defrauded —allegations that have yet to be proven in court.